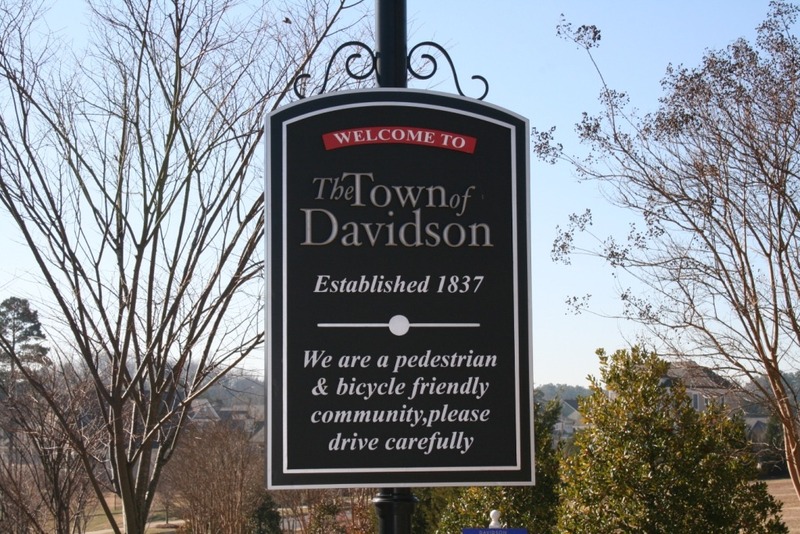 Last month, we moved from our home in New Hampshire, where we’d lived for six years (and a total of eight in the town), to Davidson, North Carolina. Despite massive spending last month to get settled (thank you fifteen year mortgage for mountains of equity to help get through that), I expect our new home will be a financial boon. We’re closer to family, so we’ll spend less on travel to see them. We’ll be able to spend more on travel to places we’ve been itching to go as a family (Hawaii, Ireland, Australia) and we’ll have the time to do it. We took out another fifteen year mortgage with a low interest rate, which we plan to pay off early. It’s our only debt. While I’m not working as an ESL Teacher next year, so we won’t have my income to save and invest, I expect to spend this year figuring out ways to lower our expenses–through an energy audit, shopping at Aldi, and new cell phone plans. We’re definitely temporarily spending more with our move, as last month’s spending shows. But ultimately, through gas savings, food savings, property tax savings, and do-it-yourself savings (yard and house cleaning), I expect to see our overall spending decline and our overall savings increase in 2019 (because we’ve got a net worth goal to reach!). Let me be clear: we didn’t move for financial reasons. We moved because it’s been our dream to achieve location independence, and be able to travel at will and be closer to our families. But we chose a smaller house, in a travel hub, where we can also continue to save and invest for our retirement and education goals. 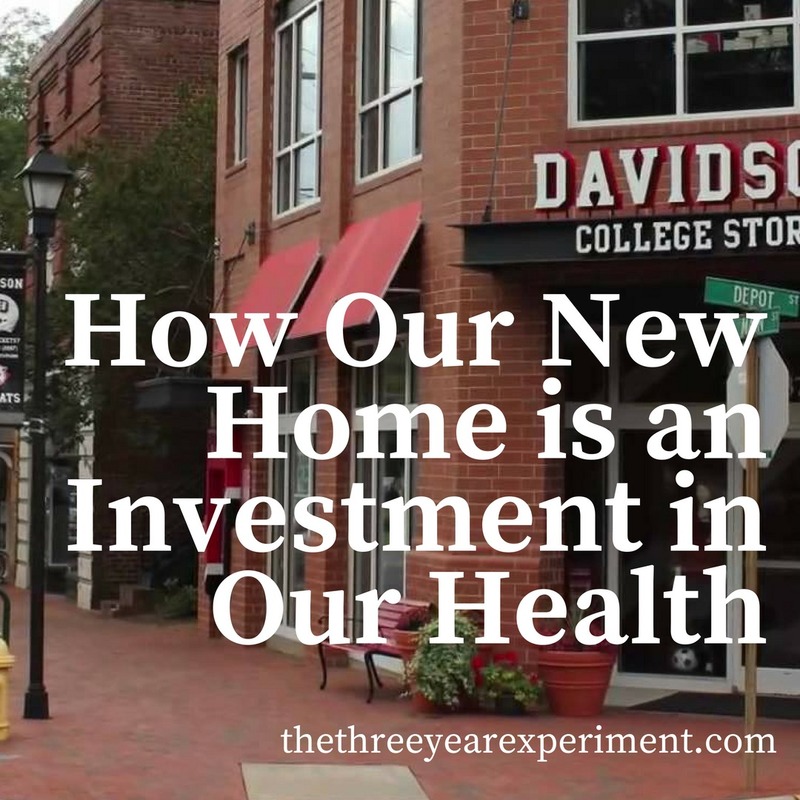 What we’ve realized about our move to North Carolina, however, is that it’s also an investment in our health, not just our wealth. When Mr. ThreeYear and I were reflecting on the last ten years recently, we realized that one of the most important changes we made in our lives was in our health. It’s been noted by many personal finance writers that there’s a link between getting your money house in order and getting the rest of your life in order. True statement. In 2008, Mr. ThreeYear was stressed by his job. Extremely stressed. We’d just had Junior ThreeYear, I was a new stay-at-home-mom, and he was juggling a minefield of layoffs. He was at a big corporate company that cared more about giving its ex-CEO a golden parachute than taking care of its employees. Stress caused us to eat a lot more and eat poorly (Mr. ThreeYear remembers that we’d order two medium pizzas for dinner and finish them–just the two of us!). We didn’t exercise regularly. We were overwhelmed with our life changes and overwhelmed with our debt and finances. When we moved to New Hampshire, we moved so that Mr. ThreeYear could take a much less stressful job at a company that truly cares about its employees. In the past eight years that he’s worked at his company, the company has invested in executive education, leadership training, a high-potential program where he got to travel to Dubai for a week, and on top of that, has a no-layoff policy, so there’s not constantly the stress of layoffs hanging over his head. We both began exercising regularly and eating better. As we paid off our debt and grew our net worth, we had more mental bandwidth to spend planning healthy meals and losing weight. I lost ten pounds while in New Hampshire; Mr. ThreeYear lost fifty-three. Despite all those health gains, New Hampshire had some negatives. Because of the six long months of winter, it was very hard to exercise. The kids spent a lot of time indoors from November to April. I’d run in the winter sporadically, but running in 6 degrees F is tough. And cold, as you can probably imagine. It’s hard to get motivated to do it more than once or twice a week. When we moved to North Carolina, we knew that we were kissing those long winters goodbye. That might make some people sad, but I am a born-and-bred Southerner, and Mr. ThreeYear did not grow up with snow in the valley of Santiago, Chile, so we love the Southern climate. Yes, summers are very hot and humid, but they’re more bearable to us than long winters. When we bought our current house, we had one day to look. Needless to say, we didn’t have time to do a ton of due-diligence. We’d looked online, but it’s really hard to figure out which neighborhood you’d like to live in from the internet. We picked a house in a community that had a pool and tennis courts. Yes, we have to pay for them, but the cost was equivalent to what we’d have paid for the same facilities in New Hampshire, plus they are right in our neighborhood. When we bought our house, we didn’t realize that we were actually in walking distance of said amenities. 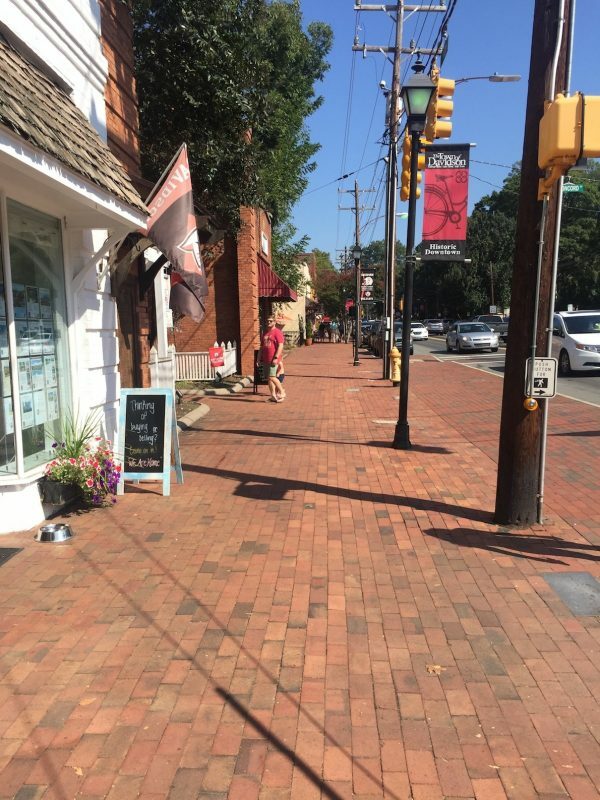 We’re actually about seven minutes away on foot, or roughly two blocks. On bike, that’s about three minutes. Mr. ThreeYear and I go on lots of bike rides. We also have an amazing greenway within walking distance. It’s exactly half a mile to reach the greenway, and the greenway is three miles long–one mile paved, and two miles of trail. If I run from my house, I have just over a three mile loop of paved running, or a seven mile loop of paved and trail running. Because it’s humid as a sauna right now, running has been hard. But, biking has been fabulous. 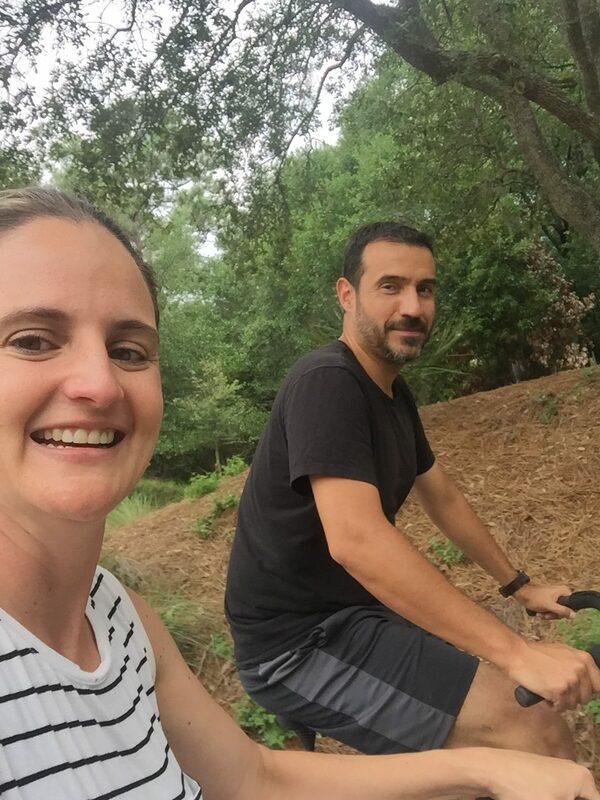 All four of us have been taking our bikes out after dinner and going for a three-mile ride from our house to the greenway. During Mr. ThreeYear’s lunch break, he and I have been riding around the neighborhood, exploring different sections (it’s a massive neighborhood). As the sign says (with bad grammar), this is a bike friendly community. There are even free bike safety classes and lots of bike paths in our neighborhood and all through the town. I’ve been taking the boys to the pool, so they can get some exercise and outdoor time. We’ve also got Lake Norman just up the road, which we’ve yet to explore. There’s a state park right on Lake Norman that’s free if you park your car at the nearby parking lot, then shuttle in. If I’m being completely honest, I’ve also felt a huge mental health gain from the move. One of the reasons I was growing increasingly disillusioned with New Hampshire was because I was becoming increasingly depressed there. I suffer from Seasonal Affective Disorder, and have since I was in college. During the winter, when I don’t get enough sunlight, I get depressed. When winter is really long, I get depressed for a really long time. I’m also the type of person who just does what’s in front of me. After I took on two teaching jobs just over a year ago, I buckled down and did them. I didn’t think too much about my happiness levels or whether this was right for my family, I just did the work (I mean, it was part-time; how hard could it be?). In hindsight, I was stressed, and I took it out on my family. I’d wake up, blog, sometimes run 3-4 miles, come back, get the kids up, race to get them ready for school, with yelling if it was an early day (which we had twice a week), and race to get us out the door. We had to leave at 7am on Tuesdays and Thursdays, so I’d drop them off at the early program at school, then race to Job 1, do it for a few hours, race to Job 2, do it, cram in planning, cram in graduate course work, come home, help my two ADHD kids with homework (if you have kids with ADHD you’ll have a vivid mental picture of how that went every day), make dinner, play a board game or read a book for half an hour, put the kids to bed, then collapse into bed myself. And wonder why I had no energy. Ever. 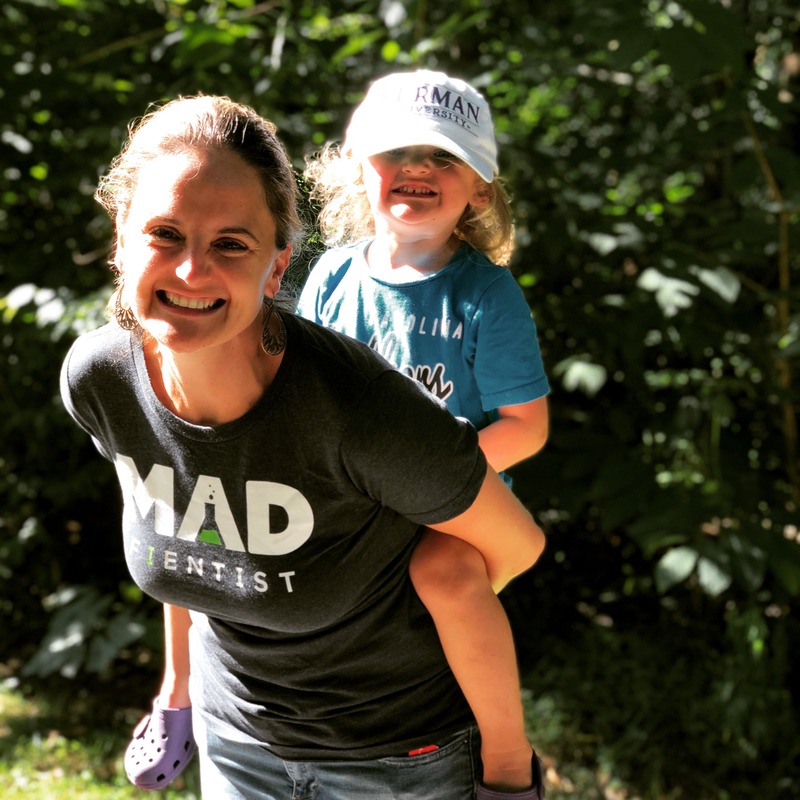 Since our move, I’m taking a year off to find a job that actually works for my family–one that’s really part time, not just one that has an hour or two off in the middle of the day. Mr. ThreeYear still gets up early and goes to work, but it’s a few steps away, in our upstairs, and I see him throughout the day for breakfast, coffee breaks, lunch breaks, and bike rides. Even though I’m still managing the kids, he’s there to give them hugs, and other emotional support. I’ve gotten to spend lots of time with family, including my niece. We also have my family around to talk to, to get support from, and to enjoy. That built-in community has been amazing for us, even just one month in. We know that we have people at our fingertips who are there to help us, support us, listen to us (somehow it’s different in person than over the phone), and share life with. I’ve found a neighbor across the street to walk with in the mornings, and we have so many neighbors on our street with young kids for my kids to play with. In New Hampshire, we technically lived in a neighborhood, but lot sizes were so big (5 acres and up), that we rarely saw our neighbors. And in the winter, forget it. Here, we’re closer to our neighbors and interact with them when we’re outside doing yard work, getting the mail, at the pool, or playing in the backyard. A strong community is exceptionally important to happiness and well-being, and one of the reasons we decided against traveling full time during location independence (that and keeping Mr. ThreeYear’s beloved job). I suspect that one of my goals for 2019 will be a focus on building community, building deep friendships and a support network. That will mean digging in to our neighborhood, being a part of meetings, dinners, get-togethers, movie nights at the pool, etc. I can be a hermit sometimes and avoid social gatherings, so it will take a concerted effort. But I think it will be worth it. These are my very early thoughts after exactly one month in our new house. I’m sure I’ll change my thinking over time, but for now, I’m inordinately pleased at all the physical and social stuff we’re able to do in this new town and neighborhood. What’s the best part of where you live? Does it helps support your health and wealth? This sounds like such an impactful move for you guys, that’s so great. We’re actually moving in a couple of months and I’m excited about it. We’re not going far, it’s actually just a few blocks from our current home but we love, love, love the neighbourhood and the new house will be a better fit for us long-term. The packing and moving part will have some added expenses and I’m sure we’ll end up buying some new things for the new house but we were able to make some money off our sale so it has all worked out nicely. So excited for you, Sarah! Yes, your community and neighborhood play such a big part in your happiness, I’m convinced. Sounds like your new neighborhood is going to be great for your family.